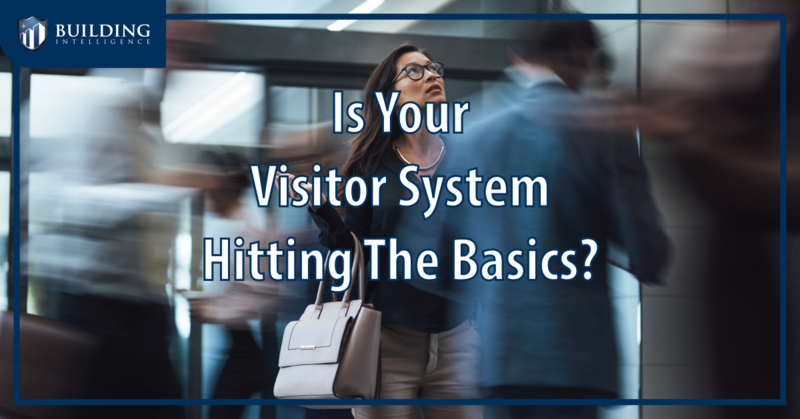 Is Your Visitor Management System Hitting The Basics? The world of visitor management is changing and existing technologies and procedures are falling behind the times. A VMS is no longer just for scheduling a guest and checking an ID when they are on-site. It’s role has grown to cover contractors with access levels, temporary employee access, forgotten badges and new employee provisioning. Furthermore, guests and employees want a seamless check-in. It is vital a visitor system is chosen that can easily integrate to new technologies and is scalable as your systems grow. Kiosk Workflow: Visitors should be able to complete self check-in or self registration with Kiosks. Workflows should be customizable based on visitor type and building. The system should facilitate the execution and management of NDAs or documents. Visitor management is by no means a one size fits all and every facility will have different needs. If your system hits the majority of the items above, you should be in pretty good shape, otherwise it might be time to start looking for an upgrade.